A Birmingham office building is fully let after a new deal was agreed with the Environment Agency. The Government agency is letting 27,000 sq ft at Aqua House in Lionel Street, in the Jewellery Quarter. The deal was completed by property agency GVA on behalf of landlord the Canal & River Trust. The letting, which has been secured on a ten-year term, will see the Environment Agency take space across the top three floors of the building after relocating its team from Solihull town centre. It said the move was being driven by the need to be close to the new government hub at Arena Central in Broad Street and the pending conversion of its former office building into a residential scheme. 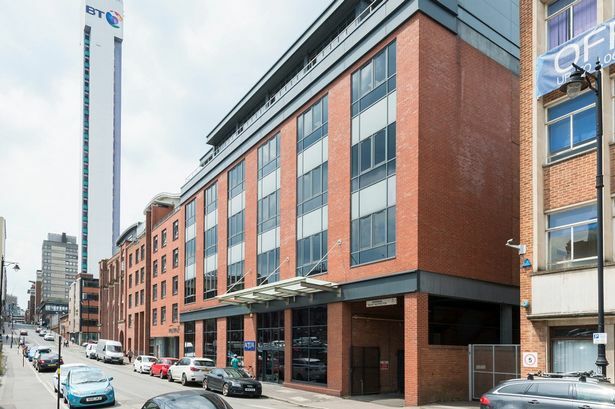 Charles Toogood, head of the Midlands offices team at GVA, said: "Aqua House provides the perfect space for the Environment Agency, just a stone&apos;s throw from the city&apos;s commercial heartland of Colmore Row. "The Environment Agency proved to be the perfect partner as we looked to let the remaining space at Aqua House. "To get one tenant for all three floors was ideal, especially when the occupier presents a secure, low risk tenant for the landlord."